There has been a lot of confusion and anger surrounding the strikes. The Tab has been dominant in forming the student media narrative, yet their reporting has been sensationalist and often inaccurate. The University has produced misleading and confusing information. They knew about the strike for a week yet failed to properly mitigate its impact on students. This article intends to set the record straight. Yes, the strikes are disruptive, but this is their point. They are aiming to bring about pension security for our lecturers. We cannot let the University and tabloid student media divide us. What has the University of Sussex said? The vice-chancellor Adam Tickell had repeatedly refused to support the strikes. This is despite an ever-increasing number of his contemporaries doing so, such as Stuart Corbridge of Durham University and Chris Day of Newcastle University, amongst others. Instead, he has undermined his striking employees, in his official statement he stated the strikes do ‘not provide the best environment for compromise and mutual agreement’. Indeed, none of his correspondence with students concerning the strike has mentioned the significant pension cuts faced by his staff. Instead, he has distorted the facts and suggested that to protect staff’s pensions would put the ‘financial future of the University in jeopardy’. Yet, Universities have boomed in the austerity years, as the Observer reported average per-undergraduate teaching income have increased by over 50% from its levels during 1997-2005. Sussex University can afford to protect staff pensions, however it appears their priorities are somewhat skewed. Adam Tickell was paid £293,000 upon joining the University a fee that included £17,000 to relocate from Birmingham and £9,000 for his pension. His annual salary is £267,000 per year. Michael Farthing, Mr. Tickell’s controversial successor received a £230,000 “golden handshake” upon leaving the university. The Guardian also revealed last year that Sussex paid £545,000 to two senior staff members. One of the most troubling aspects of these strikes, is that during their first day (15/02) it came to our attention that management had asked porters to report on which members of staff were on strike by telling them to go see if they were conducting their lectures or not. However, unwilling to report on their fellow colleagues they admirably refused. The University has also rejected calls to put striking lecturer’s wages into a hardship fund for disadvantaged students as has happened at University College London and Goldsmiths University. A petition set up by students has received 836 signatures at the time of writing. The student media narrative up to this point has been largely shaped by the Tab. The Rupert Murdoch backed news organisation has almost exclusively focused on the disruptive nature of the strikes. The above article, for instance, at the time of writing has 143 reactions and 49 shares on Facebook. It has therefore been very influential in shaping the media narrative surrounding the strikes on Sussex campus. To suggest that the ‘Sussex picket line is cutting off the entire campus’ is sensationalist at best. The picket lines, like all trade union picket lines, are located at the main entrances to the organisation. The suggestion that picket lines should be at ‘individual academic buildings’ would require over thirty picket lines. Clearly, this is beyond the sort of resources UCU could mobilise and would not be possible. 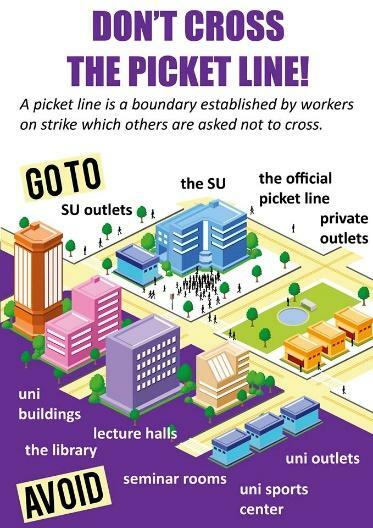 University accommodation, private outlets (such as the co-op and Eat Central), the University health centre/dentist/counselling services as well as Falmer House (which provides private study rooms as an alternative to the library) are not included in the picket line. Secondly, the article references the actions of student activists blocking buses coming onto campus. What the author ignores, however, is the fact that bus drivers had actually announced their intention to respect the picket line prior to the strike, as reported by Brighton and Hove News. 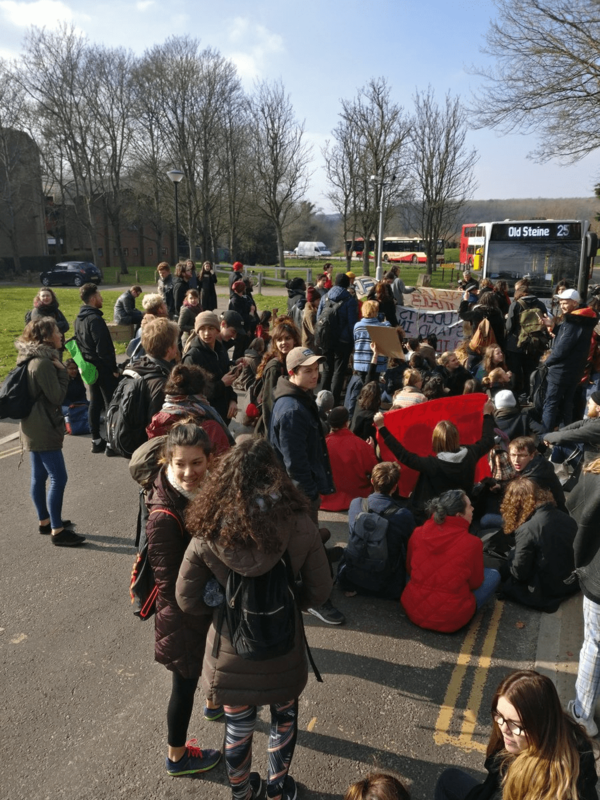 However, University management told Brighton and Hove Bus Company to resume their usual route, which they did around 11am. Students phoned up the bus company to complain but were told it was ‘out of their hands’. It was at this point that students sat in the road to block buses coming onto campus. It may be slightly inconvenient that buses are stopping on the A27 slip road, but the point of a strike is to be disruptive. Buses not crossing the picket line is a show of solidarity to striking staff and is therefore an integral part of this strike. The author suggests that this has ‘huge implications on disabled students.’ This is untrue. University security provides lifts across campus for those who require it during the strike period. It is the failure of the University to widely communicate this, but students who require assistance are advised to contact security directly. Most worryingly, however, is the climate of fear the article creates around crossing the picket line. The author references an email sent to Global Studies students by Sussex Professor Andrea Cornwall, written in response to an email she had received from a student. In their email, the student was concerned that they could be faced with a question as to ‘why they aren’t supporting the strike’ when crossing the picket line. Something they would find uncomfortable given they were currently attending counselling services on campus for sexual assault. To clarify, this was not something they had been asked personally but was something that had been asked of their friend. This sensationalist and ill-informed statement is deeply dangerous as it creates a climate of fear around crossing the picket line, one that is wholly unjustified as the overwhelming majority of individual’s experiences at the picket line has been friendly and non-intimidating. We contacted Andrea Cornwall directly with our concerns; she acknowledged these and sent us a revised statement which has since been sent out to Global Studies students via email. Finally, the entire article is contradictory. The author begins the article by stating that ‘Picketing and disruption are, of course, two key components of a strike – without them there would be no pressure to reform.’ This is absolutely correct, but the author then goes onto complain about every instance of disruption they have seen. 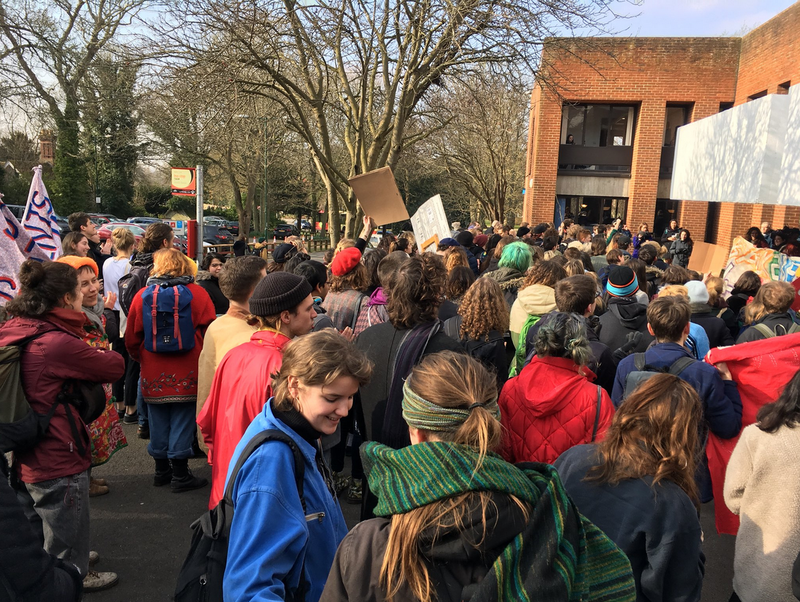 What has the University of Sussex said about the picket lines? 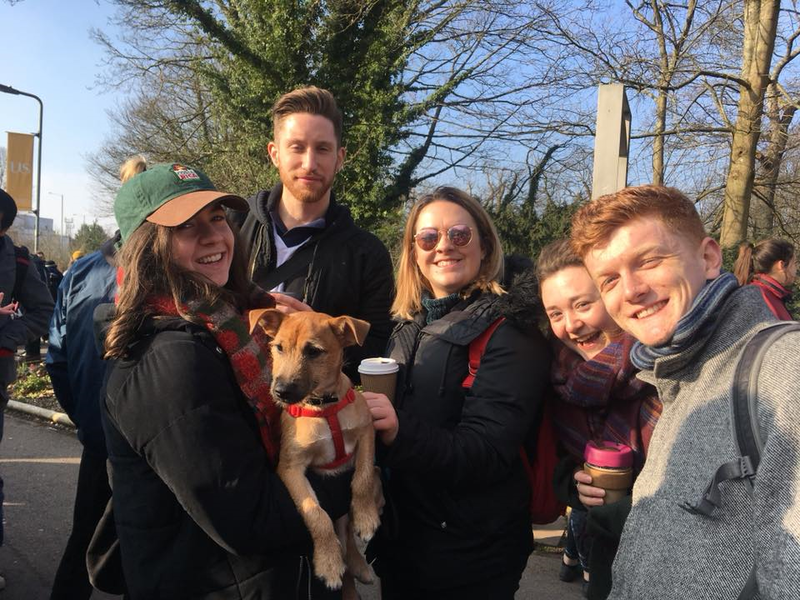 The University has issued misleading information about the picket lines, which could be seen as a direct attempt to undermine the effectiveness of the strike. In its official guidance, the university stated that ‘the number of people picketing is restricted to six for each location’ and that ‘students cannot join the picket line’. However, this comes from non-legally binding guidelines for picketing, there is no legal limit on the number of people who can attend a picket line. It is extremely disingenuous for the University to tell students they cannot picket. The fact is that there is no legal backing for this statement. Don’t direct your anger at the strikers or those students supporting them. Yes, strikes are disruptive but this is their point. 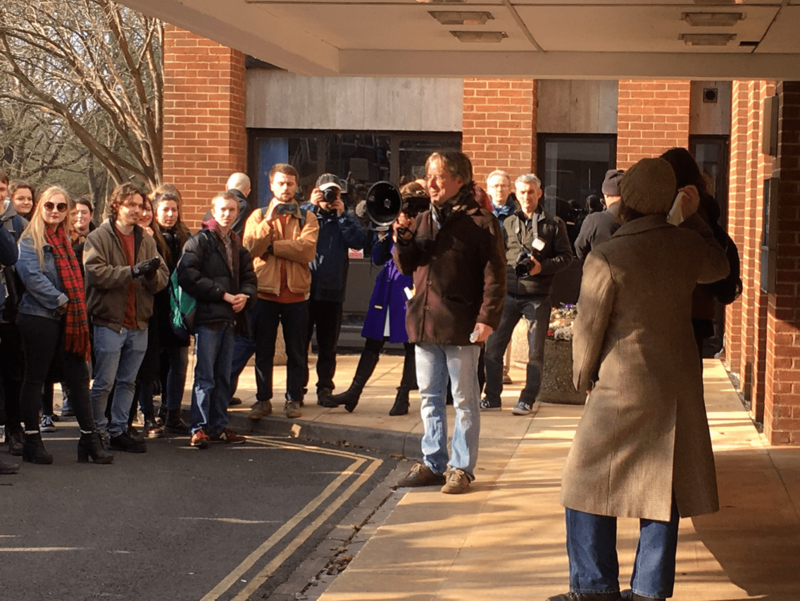 Indeed, this is an effective method of direct action: on Friday 23rd, UUK announced their intention to return to the negotiating table on Tuesday 27th. A meeting Mr. Tickell even attended himself. Adam Tickell told the Tab on the 14th February that ‘he didn’t think the strikes will work’. He has already been proved wrong. Instead, direct your anger at senior management and Adam Tickell. They have refused to support their striking staff and worked from the beginning to undermine the strike. They have failed to properly support their students during the strike period and have produced confusing and misleading information. Sign the petition to support the hardship fund. Email your lectures to show your support, and email Adam Tickell to ask him to support his staff. If you need to cross the picket line on strike days, stop and chat with your lecturers and tell them you support the strike. Staff and students alike understand Sussex is a campus university and that many people need to cross the picket line. All well and good. It would help, however, if you read more of the publication you’re writing for – particularly those pieces that demonstrate a distinctly intimidatory and aggressive strain in the current protests. Deniz Karaman’s recent piece on the UCU strike is a case in point. In that article, an unnamed professor of American Literature in the School of English (almost certainly on the average UK professorial salary of around £76,000) tells us that he is actively encouraging students to confront academics who refuse to strike. These academics, he insists, “should be ashamed of themselves…They’re leeches…visibly betraying (their) own co-workers.” What sort of example, he wonders aloud, are these ‘leeches’ setting to their own students? Apart from the appallingly dangerous language (leeches, after all, are squashed underfoot and traitors are traditionally put against a wall and shot), this privileged professor cannot, it seems, conceive of the possibility that someone might reasonably disagree with a strike action whose impact will be felt overwhelmingly by students. This well-paid member of the financial elite, moreover, sees no shame in engaging those very students to try to win by intimidation an argument he and his colleagues appear unable to win by debate and negotiation (despite the reasonable intervention of an unbiased, independent body such as ACAS). So let’s dispense with the fiction that the picket line is populated with incarnations of Mother Theresa and Mahatma Gandhi, and with the assertion that the protests are necessarily “safe, friendly and non-intimidating”. In perpetuating these myths, you are guilty of perpetuating the very confusion and misinformation you attack others for.